Covering a total of 135 miles, Glyndŵr's Way National Trail connects Knighton in the south with Welshpool to the north, passing through Llanidloes and Machynlleth, once Owain Glyndŵr's Welsh capital, on a journey through some of the finest and unspoile scenery in Mid-Wales. Originally published as part of the National Trail Guides series, this new Kittiwake edition has been revised and updated, and contains new mapping, along with the latest route modifications and path details. 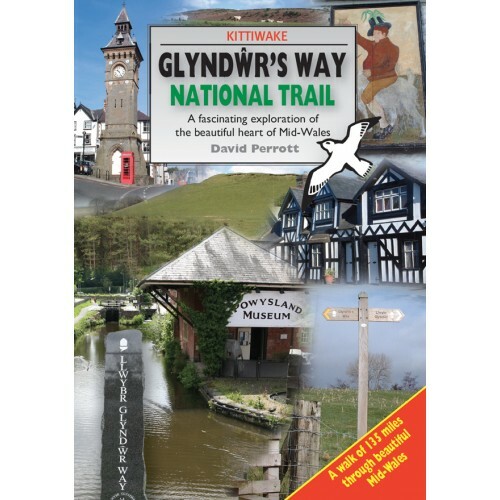 From the bleak but beautiful isolation of Beacon Hill Common to the tranquillity of the River Vyrnwy, from the lonely moorland above Dylife to the rolling farmland of the Vale of Meifod, Glyndŵr's Way offers a truly exhilarating walking experience.